GB basketball captain Andrew Sullivan became the first British player to make 100 appearances for his country, but could not prevent New Zealand winning 84-63 at the Copper Box in London. 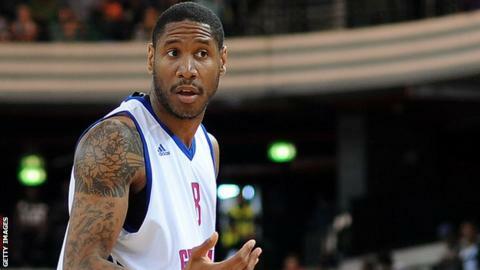 A crowd of more than 5,000 watched on as Myles Hesson top-scored for GB with 14 points. The second period finished with the scores at 43-41 in New Zealand's favour. Corey Webster helped New Zealand pull away as he finished with 32 points. "We competed well in the first half, but they stepped up defensively in the second half and we didn't know how to respond," GB centre Kieron Achara said. "There were lots of positives though and we had seven new guys, so I was proud to see them step up. We just need to keep building for the future. "New Zealand are a very talented team and we can take a lot from this game."